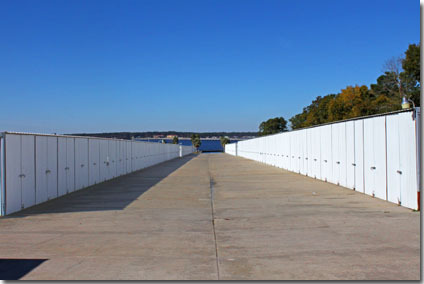 580+ fully enclosed dry boat storage units and sheds, most with concrete drives, will keep your boat or auto(when on the water) secure and safe. 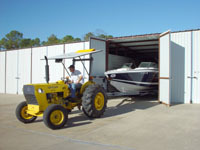 More valet launchers and boat launch tractors have been added to insure immediate placement of boats into Lake Conroe for dry storage tenants. 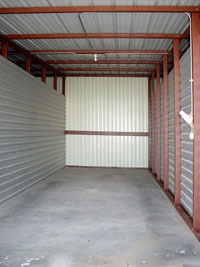 Our latest storage buildings will accomodate boats with trailers over 43′ long and 14′ high headers without lowering canopies or sport racks. Trained tractor drivers pull your boat in and out of the water. Park your car or truck inside your unit, keeping it cool and secure. You have 24/7 access to our private boat ramps for boating before or after “valet” hours. All dry and wet storage tenants get to pump fuel into their Lake Conroe boats at substantial discounts from retail prices on the lake. Simply present your discount card when filing up with Valvtect Marine gasoline and diesel. Discount, on-site fuel is just another benefit we provide our tenants to make your Lake Conroe Boating Experience better than “the guys across the lake”. I am really glad to have this outlet to sing the praises of The Palms Marina! Especially Summer and Kat, I can't say enough about these two ladies. Summer has been such a blessing to me in so many ways. I have some health issues that popped up last year and she has gone way above and beyond to help me with my boat. Summer, Kat and the rest of the folks at the Marina ROCK! 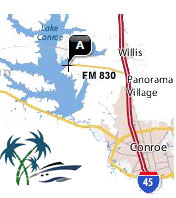 Palms E-Z Boat Map 2 - These premiere locations are locally owned and operated by the Richardson Family with over 40 years of businesss history on Lake Conroe. The last 20 of those years have been in the boat storage industry.